A new global initiative to end rheumatic heart disease (RHD); RHD Action, was launched in New York on September 29th 2015, World Heart Day. This alliance between global health experts, health care providers and people living with RHD highlights the importance of a collaborative input on a global scale to tackle this entirely preventable but neglected disease. Rheumatic heart disease remains the most common cause of acquired heart disease in children. While around 79% of people with RHD live in developing countries, Indigenous and vulnerable communities in high resource settings also live with acute rheumatic fever and rheumatic heart disease. ARF incidence and RHD prevalence in remote Aboriginal and Torres Strait Islander communities of Northern and Central Australia are some of the highest in the world. 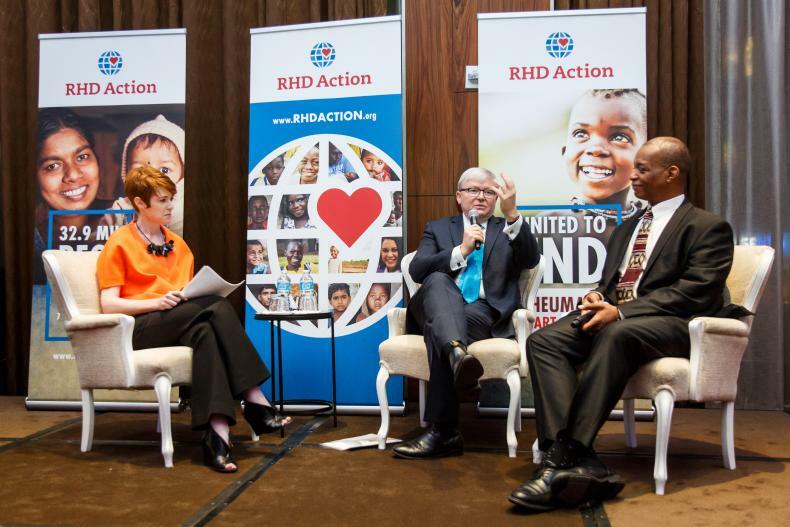 The global significance and impact of rheumatic heart disease is what drove the creation of RHD Action. RHD Action is led by a coalition of three organisations: Medtronic Philanthropy, the World Heart Federation and RhEACH. The launch of the movement coincided with the meeting of the United Nations General Assembly, for good reason. "Every death from RHD is a tragedy, because every one could have been prevented with penicillin, the oldest and still one of the cheapest antibiotics available," said Dr. Rosemary Wyber, Deputy Director of RhEACH. "While the human and economic toll of the disease persists, RHD has lagged far behind many other illnesses when it comes to funding and attention. We call on world leaders gathered at the UN today to commit to eliminating RHD once and for all." Treating strep throat with penicillin is highly effective in stopping the infection from progressing to RHD, and can cost as little as seven cents per at-risk child per year. But resources for RHD are minimal, accounting for only 0.1 percent of all research funding for neglected diseases. As a result, health systems are not equipped to prevent, treat or control this disease, health workers are often not trained to recognise and treat strep throat, and penicillin is often unavailable. Also, many people at risk are unaware of its causes and symptoms so they do not seek medical attention for sore throats. Governments must integrate RHD prevention and control into existing health services, particularly for maternal, child health and primary care. Non-governmental organizations working in health, development and poverty alleviation must provide RHD interventions through existing programs in developing countries. The private sector must develop innovative business models to address the shortage of RHD medicines, diagnostics and infrastructure. Builds partnerships between Ministries of Health, research institutions, foundations, private industry and others.